The favors…the guest book…the table numbers…when it comes to wedding spending, the devil can be in the details. All those little things can add up to a lot of money! But with some smart planning and a little creativity and elbow grease, you can cut costs without cutting corners. In this third installment of our wedding blog series, we’ve compiled some great ideas for saving money on lots of wedding essentials. From DIY favors and card holders, to invitation discounts and decorations, here are some budget-friendly ways you can add elegance, fun, and a personal touch to your special day. Make Wine Cork Place Card Holders – Use an X-Acto knife to turn wine corks into rustic place card holders. It’s so easy! Wonderful for any wedding, especially a celebration at a vineyard. Don’t have enough wine corks? Buy them in bulk online or at a craft store. Use Memory Rocks as Guest Book Alternative – Instead of a guest book, encourage your family and friends to sign river rocks or other small, flat stones. Ask them to leave advice, messages, or a special memory. The rocks can then be displayed in your home in a vase or basket as a reminder of your day. Emboss Napkins Yourself – Embossed napkins can be expensive but you can save a lot of money if you make them yourself with a personal monogram embosser. Your initials will give your store-bought paper napkins an elegant and custom touch. You can also use an embosser to make raised impressions on stationery, foil seals, envelopes, and more – perfect for invitations, thank you cards, and holiday cards long after the wedding is over. Creative DIY Table Numbers – There are many unique ways you can number the tables at your reception. Whether it’s a little booklet with pages for guests to write messages or using the table number to answer a fact about the bride and groom, these low-cost ideas are sure to generate some conversation. Look for Military Discounts for Wedding Invitations – Save on your invitations by looking for printers that offer military discounts such as Invitations by Dawn, Ann’s Bridal Bargains and Shindigz. Hand Out Tic Tac® Wedding Favors – For a real “refreshing” take on a wedding favor, hand out boxes of Tic Tac mints wrapped with the words “Mint to Be.” The free pretty, pastel printables make it easy to “shake it up” on your wedding day. To save on the candy, buy it in bulk, use coupons, or shop at your commissary. Create Your Own Photo Booth – Why spend extra money on a photo booth when you can make one yourself? Your guests will have a blast snapping pics with these fun and festive backdrops. Use Craft Store Military Discounts – If you are doing DIY for your wedding favors or decorations, be sure to look for military discounts at craft supply stores such as Michaels and JoAnn. Decorate Your Champagne Glasses – Glam up your champagne glasses. Use feathers, crystals, ribbons, flowers and lace to turn your toasting flutes into something fabulous. 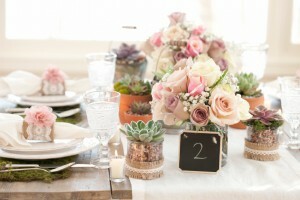 Try these tips and DIY ideas and celebrate your day with budget-friendly style! Remember – the more you can do yourself, the more money you can allot to other wedding must-haves.